Romper, bomper, stomper boo. Tell me, tell me, tell me, do. Magic Mirror, tell me today, have all my friends had fun at play? 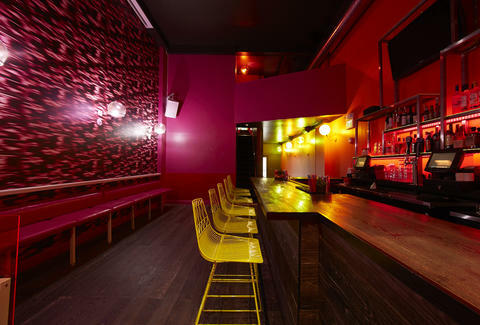 I see ALL of my friends having fun in a wild new bar in Union Square called Romper Room, where they straight-up promise that all drinks will be made in 90 seconds or less AND that all of the music will have lyrics. 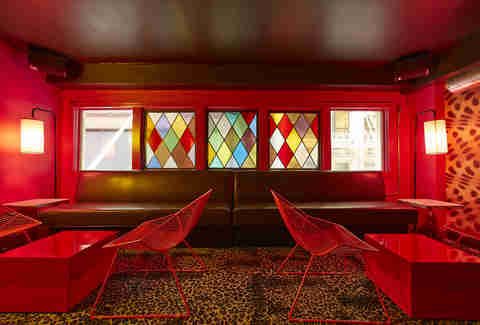 The seats against the wall flip up for when the mood goes from drinks to dancing. The upstairs Leopard Lounge will have you seeing spots (in a good way! ), since the animal print covers almost everything, and the whole thing can be reserved for private parties of up to 40 people. 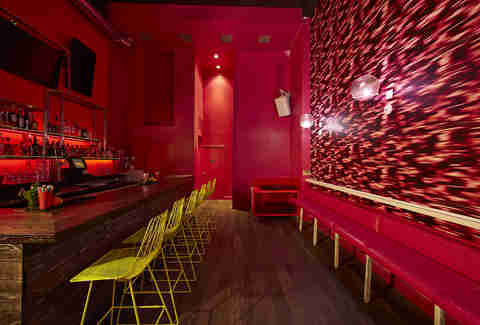 Be sure to ask about the secret drink menu that's only available in this pink-lit space, too. 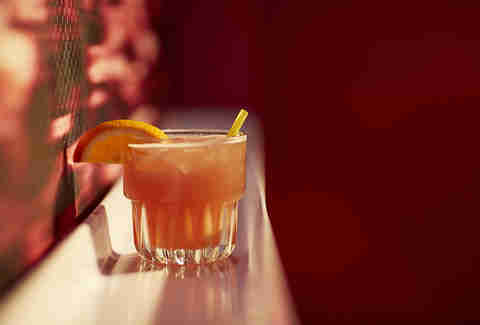 All of the cocktails are $12, and are kept on the simple side (mules, gimlets, etc. ), thanks to that 90-second-max wait time. There are a few draft and bottled beers, a couple of wines, and high fives are listed at exactly zero dollars. Daisy Barringer is Thrillist's SF Editor and Miss Nancy never once saw her through the Magic Mirror, not that she's still sad about that or anything. Follow her on Twitter @daisy.